I'm in training to run my 5th Philadelphia Marathon on Sunday, November 23. It's also my 15th marathon since 1995 and my 2nd attempt to BQ this year. While the Philadelphia Marathon may not be on par with other big city marathons, it's still one of my favorite marathons. I actually like the out and back portion on Kelly Drive - it's easier for me to get in the "zone" on a familiar course with less distractions. 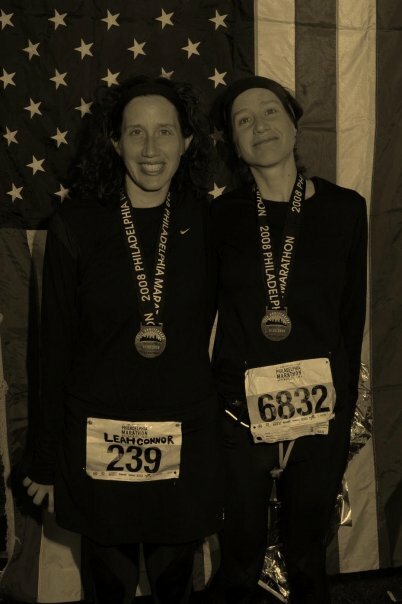 I ran my 1st Philly Marathon with Leah in 2008 (4:16:37). It was so brutally cold that I kept all my layers on for the entire race! 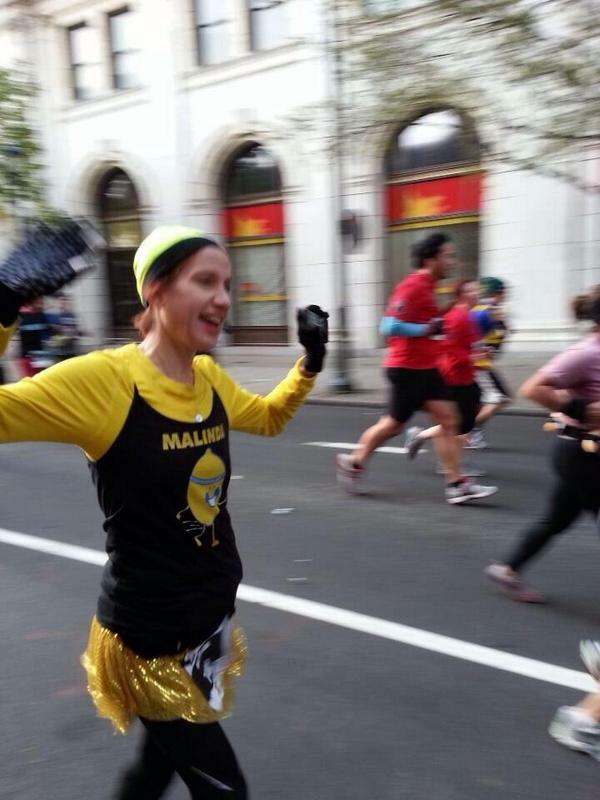 I ran my 3rd Philly Marathon with Team Lemon in 2012 (4:00:57). This was my PR at the time and I was so grateful to be close to the magical sub-4 time! This year, I hope to raise more money to fight childhood cancer while I race towards a BQ*! (*Boston Marathon Qualifying Time of <3:45:00). While I failed miserably at my first BQ attempt this year at the Rivanna Greenbelt Marathon, I am ready to try one more time this year. 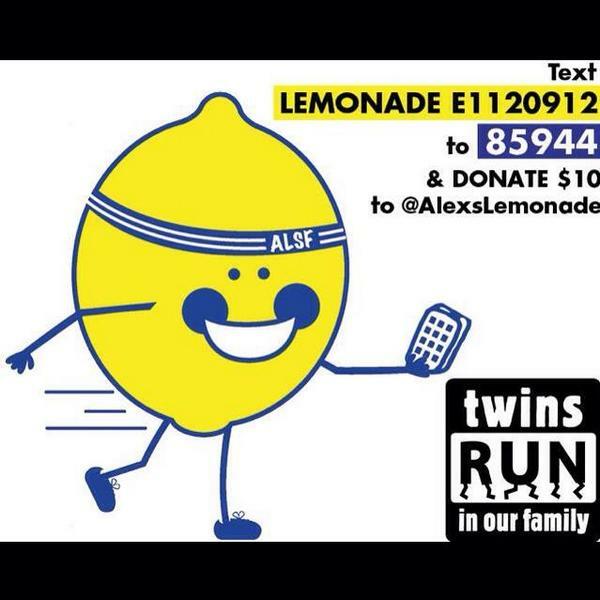 In case you didn't know, Leah and I deemed ourselves "TWINS RUN in Our Family" so that we could share our running experiences and our support for Alex's Lemonade Stand Foundation on social media. In addition to our blog, we're on Twitter, Instagram, Pinterest and Facebook, too! Since 2012, our friends and followers have helped us raise $2,121 to help fight childhood cancer! Can you help me reach my goal of $100? No donation is too small to fight childhood cancer! Text E1120912 to 85944 to donate $10 by phone!